It’s mercifully short, unremarkably produced, and calls back a time when having a girl say that she likes you was kind of a big deal. That very special few years where your body started changing, you had weird dreams, and you were just learning exactly how that thing between your legs truly works. In some ways, I feel bad for the kid. Ten years from now, he is going to look back on his music from a throne made of teen pop money as a supermodel sits on his lap and really regrets that he actually let people hear it. It is a 26 minute long compilation highlighting all of those embarrassing moments that kept you up at night ten years later. How you wish that you will be the last text that she sends every night, or that maybe you do care about your crush about as much as a new pair of shoes. And like those shoes, you’ll stop caring and throw them away in a week when someone posts a cool new picture on Instagram. It is Yo Gotti’s “Down in the DMs” for seventh graders and the collection of asinine and often insulting comparisons (I mean he compares girls to shoes for Christ’s sake. Literal objects.) makes this a special kind of awful. But at the same time, it is a bit nostalgic to see someone making such a big deal about a FaceBook like or a smile in class. I am still young enough to remember junior high (and I don’t know if that is good or bad) and I can think of a time where I, as a pimple faced kid, would have been able to relate. 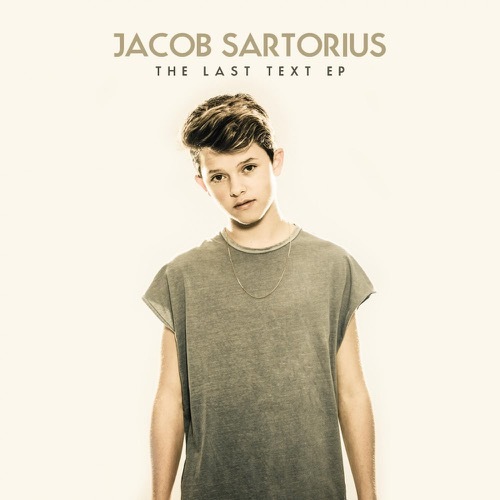 Sartorious can sing, or at least autotune decently well, even if his lyrics are literal trash. The production is about as run of the mill as you can get, but I have the sense that he could maybe do something someday. Unfortunately for him, these songs are going to haunt him for the rest of his career, and it’s damn hard to move away from that, as is evidenced by former teen sensations/current drug sensations Miley Cyrus and Justin Bieber. Appropriately, the album ends with a terrible acoustic “reimagining” of his “hit” “song” “Sweatshirt”, which is just as awful as it sounds.